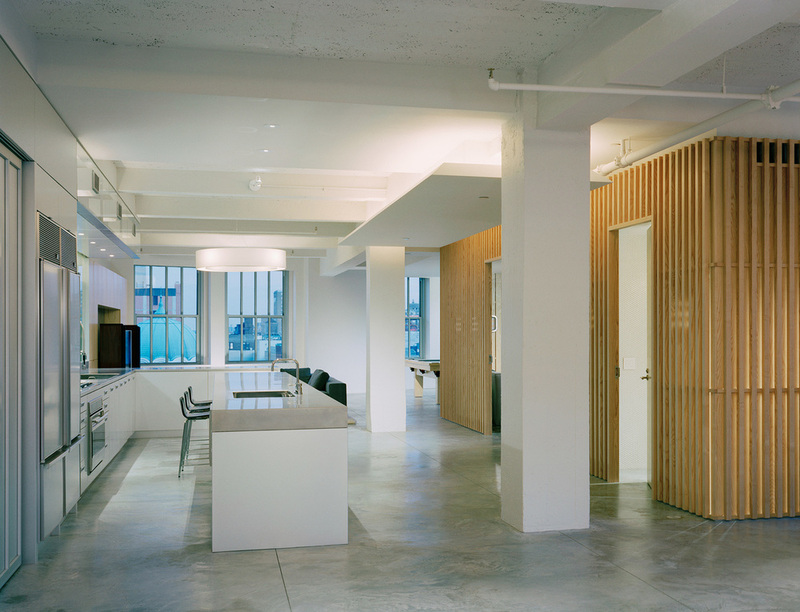 This open, L-shaped, industrial, NYC loft space was converted into a home for a young family. Our goal was to maintain the sense of spaciousness and allow the unfettered flow of light through the loft. New walls and partitions were kept to a minimum, and a combination of reflective, translucent and transparent materials reflect and transmit light throughout. The loft is anchored spatially by two cores-- sheathed with offset wood members and a glass skin--which allow light to bounce into various rooms while screening direct views inside. Operable portholes in the glass allow for ventilation and views through. At night, light from inside emits outward into the living areas and bedrooms. 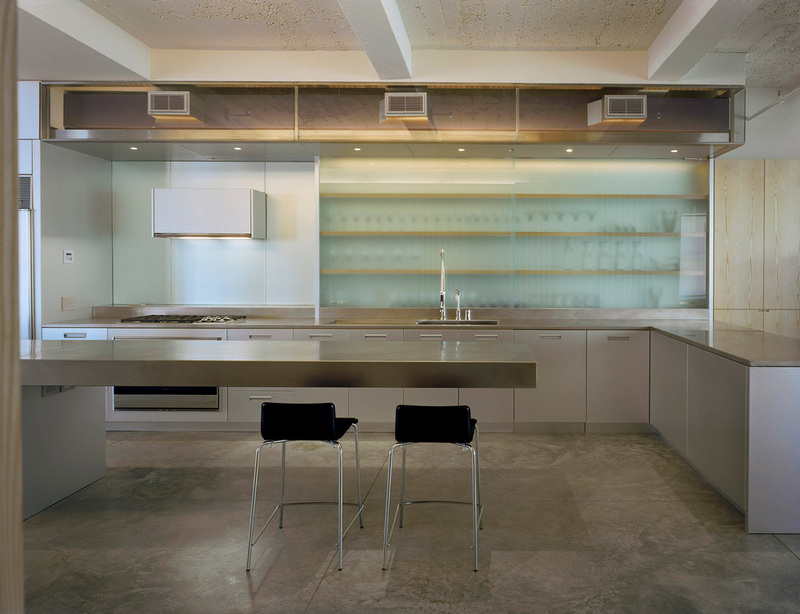 The kitchen, surfaced with anodized aluminum and glass, is a central feature of the loft and plays an important role in reflecting and transmitting light. The kitchen is capped by a clear glass soffit which exposes the air-conditioning duct work and also acts as a large light box. The kitchen counters have integrated sinks and include a 9-foot long cantilevered counter at the kitchen island. The island represents the central hub of the clients’ family life – an ever-changing zone of activities ranging from cooking and eating, to reading and working.